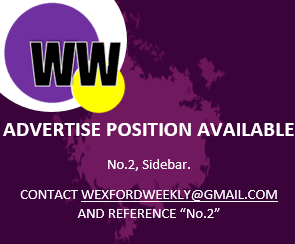 The spotlight has been on the Wexford camogie team in recent weeks. The sharp demise of the once great Wexford camogie side was broadcasted across national news headlines last week after the Model County failed to field a team against Cork in the Littlewoods Division 1 Camogie League. Wexford succeeded in naming a team for this weeks’ clash away to Galway, albeit a reduced one, of thirteen. Consequently, the Wexford camógs suffered an enormous defeat, which served to illuminate the county’s demise even more. Today [Sunday], the Wexford camogie team, who are currently managerless, lost by 45-points to Galway, on a scoreline of 9-23 to 1-02. It was total humiliation for Wexford. It was so bad, that the Galway management actually felt sorry for the Wexford side. As a token of good-will, the Galway management decided to reduce their team from 15 to 13 at half-time, to match Wexford’s numbers, who could only field thirteen from the offset. Galway did this as the scoreboard read 8-10 to 0-02 on the half-time mark. Considering Wexford won the three-in-a-row of All-Ireland Senior camogie titles as recently as 2012, there’s a lot of questions to be accounted for.